The Devout Dude turned out SPLENDIDLY...I rather like the streaked beard also...nice touch. GREAT WORK! The streaked beard is a nice touch. I try to paint the fire more orange/red. I hope you like it. The fire looks SPLENDID...it goes nicely with the rest of the FINE brushwork. GREAT WORK again! Thanks for all your comments on the witch hunters. 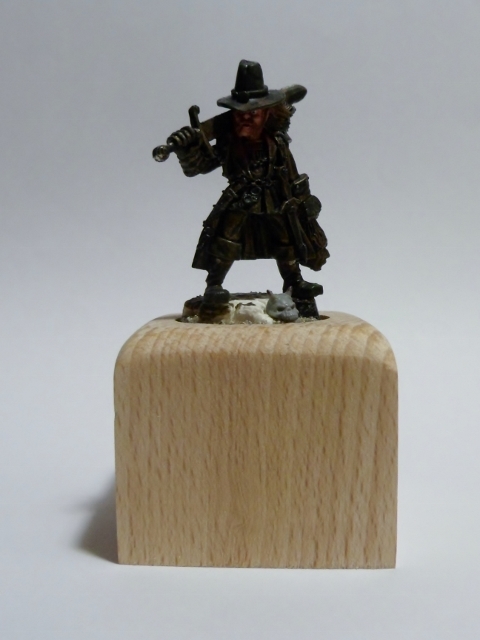 The picture for today is not a miniature but a wood plinth for our beloved miniatures. The whole plinth took me about 20 minutes with sketching, cutting, drilling and rough cleaning. Just a little bit more cleaning, some felt at the bottom side and finished. Nice idea, look forward to see it done, thumbs up mr. reenactor! Mr reenactor? I think this is one of the nicest name someone called me in the last few years. Mostly I'am called knight or one of the crazy guys. I try to get the plinth until monday done with the last miniatures of the warband. haha, know about that, have reenacted for almost 6 years, 14th and 15th century, jousting and stuff, peaple dont understand the meaning and fun in it, so sod them! Jousting - cool. You forgot the fun of crafting, meeting friends and the fighting as a kind of sport. ....jap, exactly, forgot about that, was a great time!check your pm! 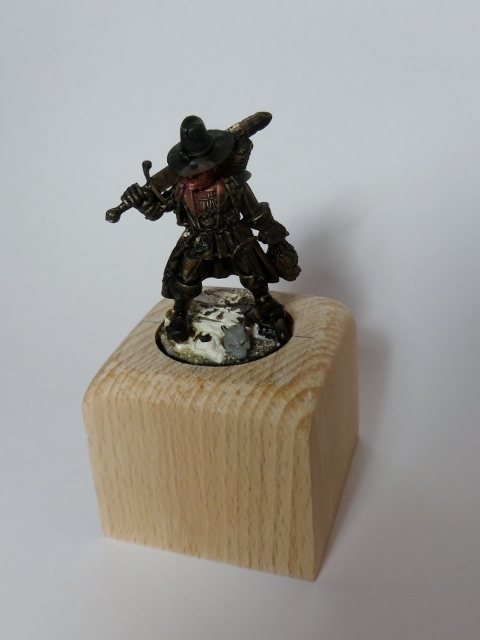 The plinth is a SPLENDID way of displaying your Table Top Warriors. GREAT IDEA! I was an American Revolution reenactor myself. As I remember it, it was a lot of fun...The Ultimate game of cap guns. Cool, you are an reenactor too. I love this forum more and more. 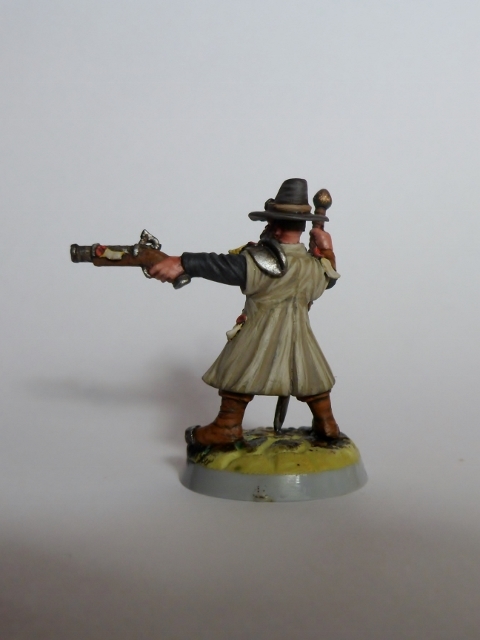 After a paint session until 0 o'clock I'm done with the second witch hunter and begun the third one. But I'm not sure if the jacket should be repaint. 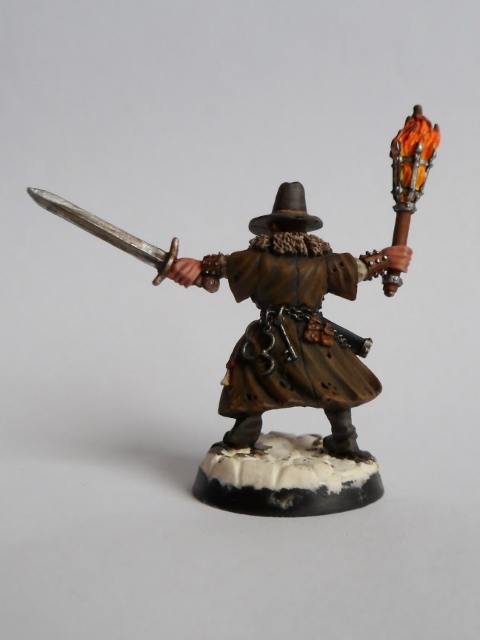 The Witch Hunters look the part; i.e., somber & sinister...TERRIFIC brushwork & color choices! And the third one is ready. So only the inquisitor left. But for tomorrow I want to work on my Beach cruiser. 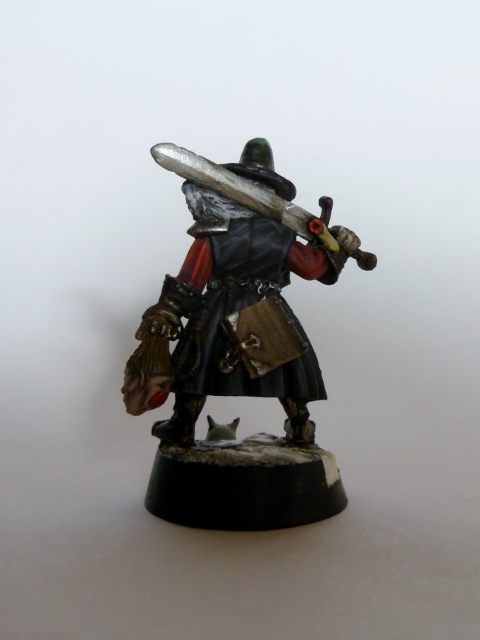 I think someday, when the warband is finished and had seen some battles I will repaint his cloak. 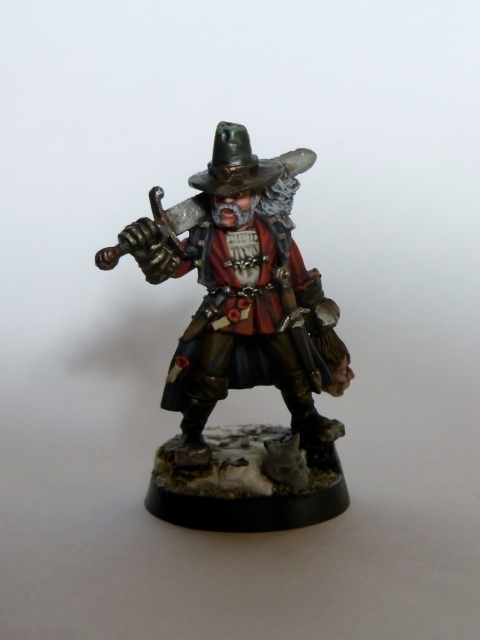 Great paintjob, again! Like the scheme! Subdue but GREAT color choices make the mini for moi. TERRIFIC WORK! Couldn't wait to paint this guy, so I started this evening and I have to say it's pure pleasure. 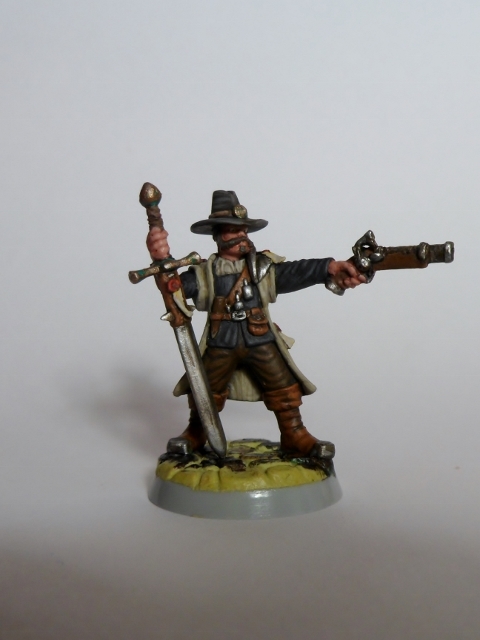 Just a few thing left to paint and the next picture will be in the gallery with the finished warband. Among the other guys here i like him best, he´s your leader right?! Jup, he's the leader. 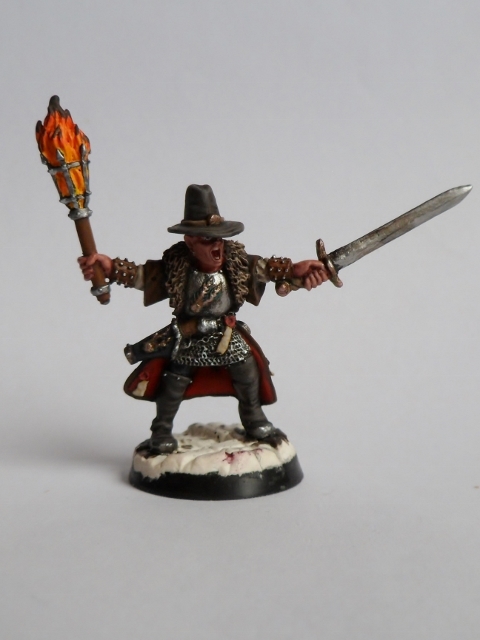 But I have to say he's like the Dwarf Slayer, just a pleasure to paint. EXCELLENT! 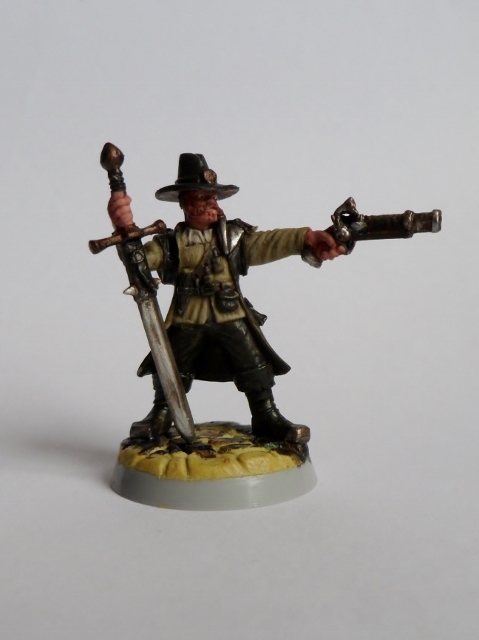 The SPLENDID changes you made AND the FINE brushwork are OUTSTANDING...a definite improvement over the original mini! VERY WELL DONE! Another cool edition. Looks like Lenny from Motörhead. Where do you get your hats from? The one you uses on the leader and the two minis before? I sculpted the hats. 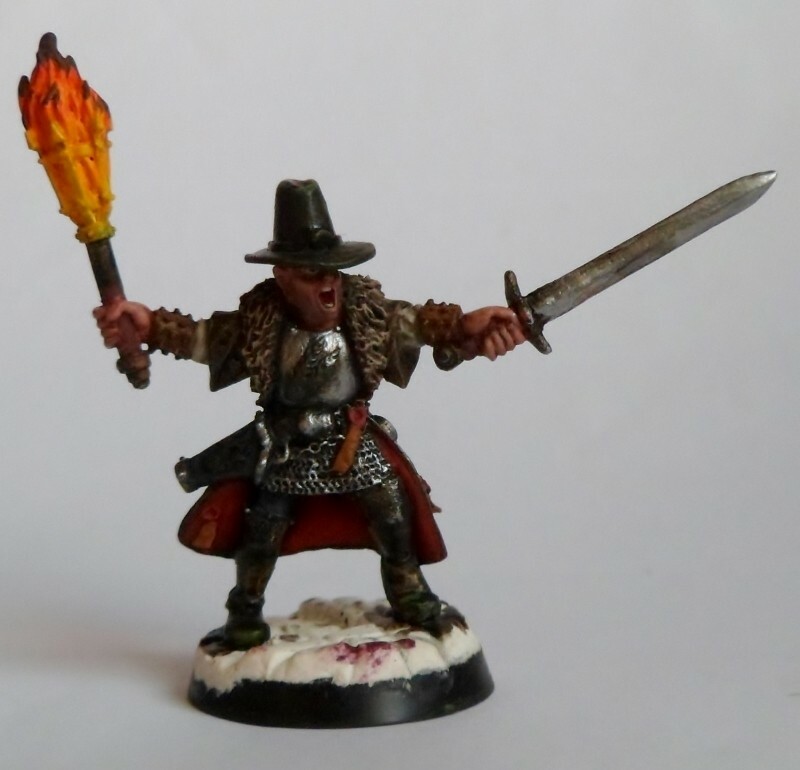 But Warlord Games got some hats with the Pike & Shotte range. You are not the first how told me that he looks like Lemmy and I have to say, I like it.